As a Santa Barbara cosmetic surgeon, I have watched aesthetic procedures (like Botox and dermal fillers) rapidly evolve in the last decade that offer men and women anti-aging options that can be done in an office visit with little to no downtime. These procedures can complement or supplement cosmetic surgery procedures (such as Facelifts and Neck Lifts) but knowing what procedure may be right for a person, and when to have it done, can be confusing. With the understanding that everyone ages differently, I will present a loose guideline of when a person may want to consider anti-aging treatments and/or cosmetic surgery to keep a youthful appearance and/or to rejuvenate their look. Wrinkles on your forehead and/or around the eyes (crow’s feet) may suddenly be more prominent when a person hits their 30’s although facial volume has probably not diminished (at least visibly). The one aesthetic treatment to consider in the 30’s is Botox or Dysport. This treatment temporarily relaxes the frown lines and wrinkles to give you a more rejuvenated appearance. Cumulative use of Botox or Dysport may actually minimize muscle activity in the area, thereby slowing the onset of wrinkles and fine lines in future decades. Visible signs of aging in the face, such as thinning and/or sagging skin, a hollowness under the eyes, and overall loss of plumpness really shows up in the 40’s. This happens because the rate of breakdown for collagen and elastin significantly increases after the age of 40. Dermal fillers, such as Juvederm, Restylane, and Radiesse, can effectively replace natural volume and fullness as well as correct skin imperfections like wrinkles, fine lines, and acne scares. A dermal filler treatment is an injectable treatment that shows immediate results and can last 6 to 12 months (depending upon the type of filler used). Another issue that people notice in their late 40s is that the eyelids may start drooping, making the eyes look hooded which can make a person appear tired or angry. Bags and hollowness may become a permanent part of the under eye area. This is a good time to consider Eyelid Lift Surgery, which can be done on both the upper and lower lids (if need be), to remove excess skin and “re-open” the eyes to the world. Sometimes, however, it is not the upper eyelids that are causing a heaviness. The forehead tissue may have relaxed so much that it is impacting the upper eyelids (and, hence, impacting the eyes). Forehead Lift surgery may be taken into consideration. This surgery repositions the forehead and brow upward to open up the eyes and smooth the brow area. 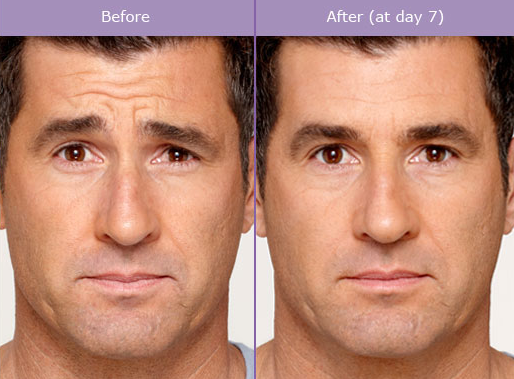 Furthermore, frown lines can be minimized with the use of Botox or Dysport. The 50s is when most people usually consider Facelift surgery. The surgery addresses the skin laxity in the cheek and neck area. If the skin laxity does not warrant surgery (or the person is not interested in surgery at the time) there are non-invasive treatments such as Skin Tightening that use the latest technologies to tone, lift, and tighten the skin. The protocol for Total Tightening – a skin tightening treatment – is exclusive to my Santa Barbara medical spa. 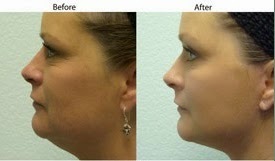 By the late 50’s and beyond, many people are interested in addressing their neck contour. Sagging skin and fat accumulation can become very prominent and “age” a person dramatically. 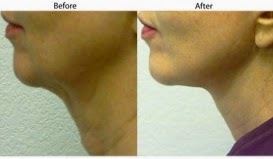 Neck Lift surgery will re-create long-lasting support for the neck area and give the person’s profile and appearance a boost. The results will look natural and not “done”. If a person has had a facelift or other facial rejuvenation surgeries, I recommend maintenance treatments such as Botox or Dysport, dermal fillers, and laser treatments to prolong the results. If you are interested in any cosmetic surgery or aesthetic treatment, please call my Santa Barbara cosmetic surgery office to schedule a consultation (805) 563-0000. Talk about Botox with your women friends and many will freely admit to doing it, having done it, or wanting to do it. The chance of a group of men having the same conversation is slim although the chance that a few of the men in the group are Botox-users is not. Botox for men is on the rise according to the American Society of Plastic Surgeons. Cosmetic surgeries, as a whole, rose 22% from 2000 to 2012 for men and minimally invasive procedures, including Botox, Dysport, and dermal fillers, rose 6% from 2011 to 2012 for men. 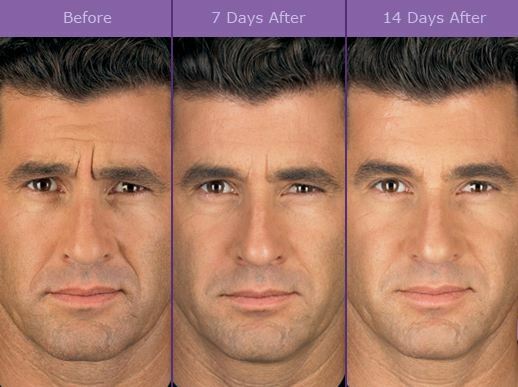 Why are more men turning to Botox? Speculation includes the idea of wanting to look how you feel (many men are in great shape and are healthy, they want their “look” to reflect that), having an “instant” fix without the downtime and cost of surgery, or enhancing their look for the job market. That’s right! Men who are seeking employment are finding it more difficult to compete with those who are one or two generations younger. An article in the Wall Street Journal that addressed this topic said that it takes men who are 55+ an average of 16 weeks longer to find employment than those who are under 55 (or appear under 55). Forehead wrinkles plague both men and women, and the ability to “get rid of” them, even temporarily, can be life-altering. Forehead lines, and especially the scowl between the eyebrows (technically known as the glabellar lines), can make someone look angry, irritated or upset. In addition to that, wrinkles are often associated with age, so a person who has many facial wrinkles and folds may appear to look old or even older than they really are. A short visit to a cosmetic surgeon or medical spa can change that! Botox is injected in small amounts to the areas where it is needed. It blocks the signals to the muscles that tell them to contract. 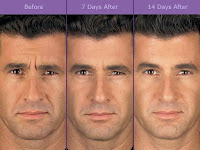 Instead of the muscles contracting into a frown, the muscle will relax and the injected area will appear smooth. Botox can take up to seven days to set in and is effective for 3 to 4 months – long enough to go on several job interviews. Get your Botox in Santa Barbara by Dr. Terry J. Perkins, a trusted Santa Barbara cosmetic surgeon. Call his office at 805-563-0000 to schedule a consultation. Wrinkles come but, unfortunately, they don’t “go” away without some help. There are quite a few types of cosmetic surgeries that can help soften or eliminate wrinkles and bring back a more youthful appearance, but some of our Santa Barbara Cosmetic Surgery Center patients who are not ready to undergo surgery ask us, “What is the next best solution for appearing younger through non-surgical means?” The solution that we suggest is trying dermal fillers and/or Botox or Dysport for a temporary solution. Although this article is primarily about Radiesse, a certain type of dermal filler, we will give you a quick overview of the difference between fillers and Botox/Dysport for those who may not be familiar with either. Dysport or Botox are neuromodulators that relax the muscles causing the wrinkles. They are primarily used in the top half of the face (crow’s feet, forehead wrinkles, frown lines). 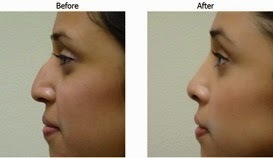 Dermal fillers are usually used in the lower half of the face and they add volume to the face by filling in depressions and wrinkles (for example, they can be used to fill in the nasolabial lines from the nose to the corners of the mouth to soften the deep grooves that make the face appear older). How, exactly, can Radiesse bring back my youthful appearance? As we age, our appearance changes because the aging process causes loss of facial volume and a decline in skin elasticity. The result is facial sagging and deepening of lines and wrinkles, which can make a person look tired and older than they really are. Radiesse, an FDA-approved dermal filler that contains calcium-based microspheres, restores fullness in your face by adding volume and smoothing out lines and wrinkles. The increased volume and decrease in deep lines and wrinkles can turn back the clock dramatically. An added benefit of Radiesse is that it has been clinically proven to stimulate production of your natural collagen for a longer lasting result. The average person sees results for 12 months, sometimes more. Popular treatment areas for Radiesse are the oral commissures (corners of the mouth), jowl area, marionette lines, and nasolabial folds (although it can be used in other areas of the face). There are several FDA-approved dermal fillers on the market today that we also use (Perlane, Restylane, Juvederm) and these are made from hyaluronic acid. Radiesse is the only calcium-based filler available and because it is longer-lasting, it may be a more affordable wrinkle correction option for patients. What else do I need to know about Radiesse? Radiesse is an injectable filler that is ideal for a broad range of patients and a great choice for those wishing to smooth out severe to moderate lines and folds. Radiesse has been FDA-approved to be mixed with lidocaine for a significantly more comfortable treatment. There is virtually no downtime with Radiesse although for best results it is recommended that no excessive sports are done after the treatment (it is okay to resume normal athletic activity the day after treatment). Radiesse is biocompatible and there is virtually no risk of an allergic reaction or rejection of Radiesse. There is the possibility of bruising, redness at the injection area, and swelling, but varies from patient to patient. To this date, over 4 million Radiesse treatments have been performed worldwide. How do I schedule a Radiesse treatment? Radiesse can be done by Dr. Perkins at his surgical practice, Cosmetic Surgery Center (805-563-0000), or at Evolutions Medical Spa (call for a complimentary consultation: 805-687-0212), both located in Santa Barbara. An aesthetic nurse practitioner at Evolutions Medical Spa can also perform your Radiesse treatment. All nurses at Evolutions have been extensively trained by Dr. Perkins.